Will you be capable of riding your horse to dodge and jump over the obstacles in the aggressive competitions? Fulfill your dreams of horse racing action in stadium arena as well as vice city arena. Prepare for competition for supremacy in this extraordinary horse racing championship in Ultimate Horse Racing Simulator 3D. Get ready to the ride with jockey horse course race to win competition. Utilize control buttons where you wish to defeat the rivals. This horse simulator has come across different hurdles and run fast. Enter into racing arena and fight for victory, pride and honor to polish your skills in this epic battle of horse racing. Stadium is full of audience which comes to see this action racing game and appreciating with claps as well as hooting for the best rider. You must proof a best rider and full horse control skills when race start. Choose your favorite desired horse and race to the win the eventual trials against your participants. Relish this horse racing simulator to defeat other riders. Enjoy jump as well as racing fun with virtual horse challenge simulator. Ultimate Horse Racing Simulator 3D is adventurous game with interesting gameplay where you play as jockey horse to race. Smooth control and compatible user interface will be additional exquisiteness of this racing horse simulator. Multiple challenges and missions will excite to entertain you in the gameplay. Initial levels will be an easy task for you to accomplish it successfully but upcoming levels have pleasure and passion for those who love to ride the horses and steed. Start your mission, sprint on horse and move towards target with extraordinary command and expertise. Different interesting stadiums like grassy, snow, mud and city environment will make you able to become professional in all arena. Jump over the hurdles and reach the terminal point first. You must care that your horse hoof does not touch the crossing hurdle barrier and landing smoothly. Race continuously and dodge the obstacles with perfection to become master of this horse racing challenge simulation. Defeat the all opponents and win horse derby championship. There are many hurdles comes in your way and your horse can cross these hurdles so efficiently by pressing the right bottom button. You must control your horse speed and look ahead upcoming hurdles. 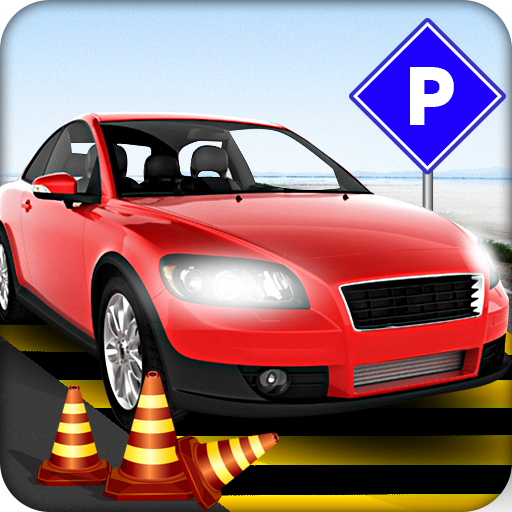 You must continue this racing challenges till to complete your level successfully. Ultimate Horse Racing Simulator 3D is specially designed for all horse rider lovers and racing games fans. Enjoy multiple horse selection variety and play the game with desired steed. Play in the most amazing and addictive competition of the horse racing game. Don’t miss out the chance to have tons of fun with this jockey battle in racing arena. Follow the instruction and experience the remarkable graphics of this racing fun. Manage your riding and stable the horse on jumps and sharp turns. Now saddle up, steer your horse to reach the World Championships.